Knee pain and stiffness can be sharp pain or dull aches. 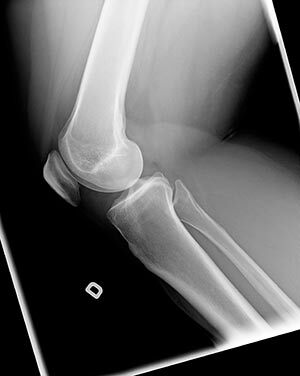 It may be a sudden injury or overuse of the knee joint that can cause pain. Another possibility is an underlying condition such as osteoarthritis. Your knee is the largest synovial joint in the body made up of the femur, tibia and patella, forming a hinge joint. It contains the commonly known soft tissue structures such as the anterior cruciate ligament, posterior cruciate ligament, medial collateral ligament, lateral collateral ligament, medial meniscus and lateral meniscus. Does Chiropractic Help with Knee Pain? The key is to find the cause of your knee pain and put a stop to the endless cycle of pain. Our Chiropractic team takes a biomechanical approach to your care and we aim to achieve structural balance. We do not want your pain to be reoccurring. By assessing and caring for your spine, we can fix imbalances and ease the pressure on your nervous system, which helps in your pain subsiding. Knee pain can affect the mobility and function of the surrounding muscles of the knee. Once we care for your immediate pain and have you balanced from the ground up, including proper alignment of your spine, you will be taught specific targeted exercises and everyday movements to do between chiropractic visits. When you experience knee pain and stiffness the most basic everyday activities from bending down to lift up clothes, walking up stairs or just getting out of bed can feel difficult and give you pain. Knee pain stops you from functioning normally and stress free. Don’t live with the pain, reduce your activity level or start to take medication for a biomechanical problem. Innate Chiropractic cares for patients with knee pain everyday. 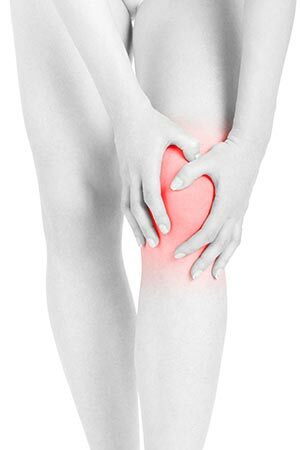 Chiropractic Care for Knee Pain? Your Chiropractor will examine you and together with your medical history and extra diagnosis tools like X-rays, a care plan is determined, consisting of but not limited to Chiropractic adjustments and techniques in the areas of restricted movement in the knee as well as surrounding joints. Restricted spinal joint mobility and improper alignment is also corrected and a period of ongoing care to stop the pain returning is scheduled. When Should You See a Chiropractor for Knee Pain? These are signs it is time to seek care. Innate Chiropractic cares for the issues in and around the knee from pain. In addition, we will investigate if other alignment, structural, biomechanical imbalances and issues in other areas of the body may actually be the cause of your knee pain. For instance, asymmetric and excessive foot pronation or a limited range of motion in the hips can put excessive strain on the knees which will ultimately become painful. Don’t live with the pain, book an appointment so we can help care for your issues and help provide a pain free lifestyle.